Take A Stand - A Healthier Way to Work - Organising Works! Time and time again studies have proven that prolonged sitting is detrimental to your health. In fact, one study states that sitting for more than 3 hours can cut your life expectancy by two years. In addition to this staggering number, sitting for a long period of time can also increase back and neck pain. The average office worker spends up to 5 hours and 41 mins sitting at their desk. Health guidelines suggest we should spend 150 minutes a week in moderate exercise, yet many of us sit down for more than half the working day. Communication tools such as Email means we don’t even have to get up to talk to anyone. To address this new sitting health problem and create a healthier way to work is to incorporate standing, walking and other forms of activity into our normal working days. Introducing standing desks into the modern workplace allows workers to stand, pace and flex have many health benefits. Introducing standing desks into the modern workplace allows workers to stand, pace and flex have many health benefits. 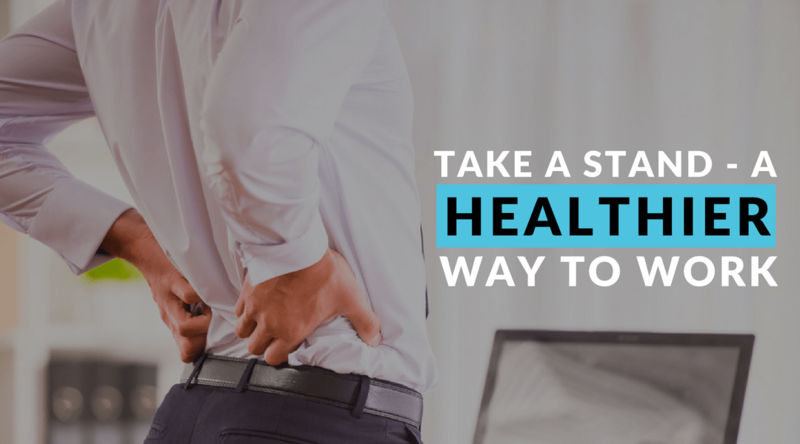 If you are going to start using a stand-up desk, experts recommend that you split your time between standing and sitting, because standing all day can lead to back, knee and foot problems. It’s also important to ease into it, start by standing for just a few hours a day at first while your body becomes used to the strain, and move around a bit, by shifting your position, pacing, or even dancing as you work. How long do you need to stand to get these great benefits? 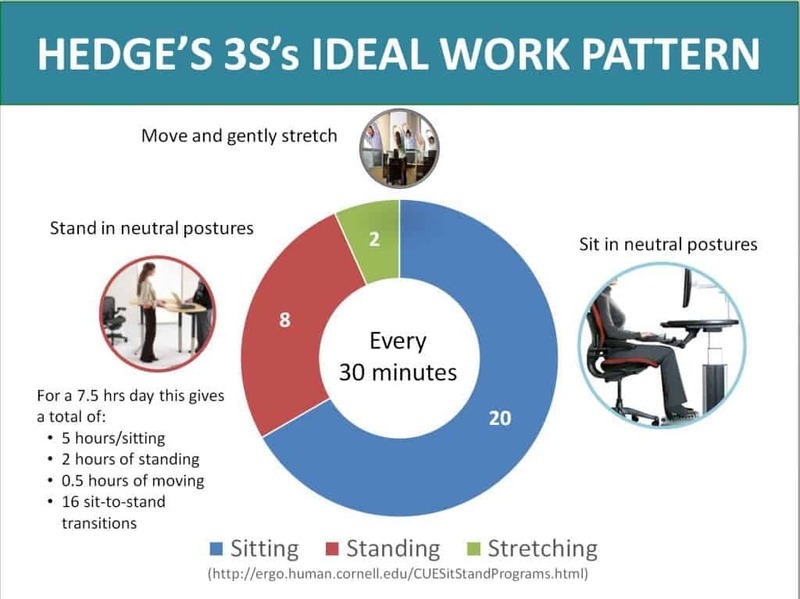 Alan Hedge, Cornell University ergonomist developed the Sit-Stand-Stretch regimen also known as the 20-8-2 regimen: 20 minutes sitting (in good posture), 8 minutes standing, and 2 minutes standing and moving for every half hour of your workday. 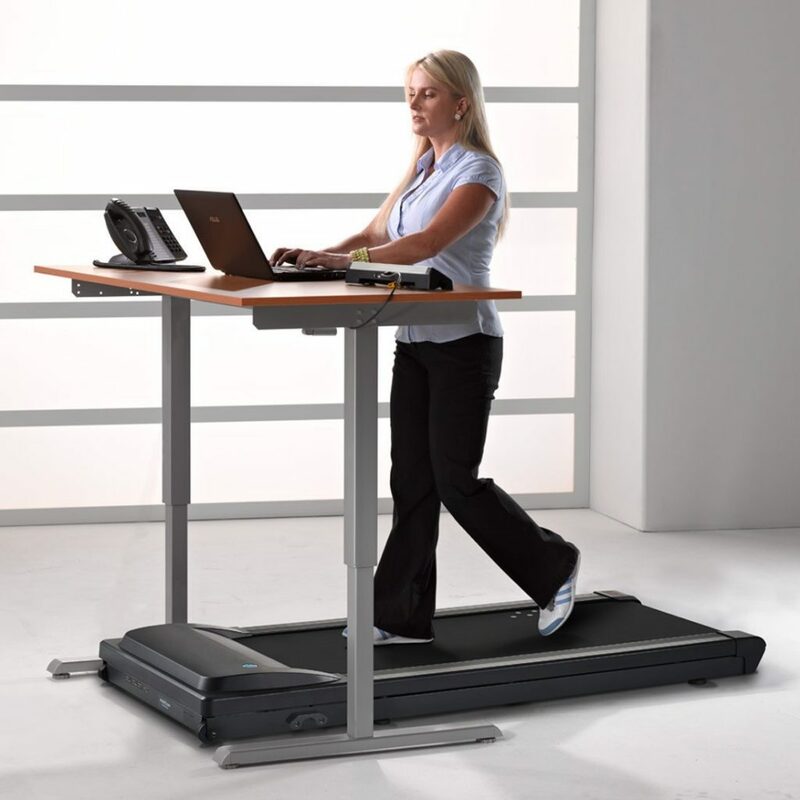 There are several options available when choosing the right stand up desk. Generally, it comes down to free-standing, height adjustable and desktop converters. Let’s take a more in-depth look at the two most popular types of stand up desks. This desk is the most commonly available and therefore has more choice of design. Height adjustable means you can adjust the height to what is comfortable for you or, if you share an office, it can be adjusted for other users. Most of these tables are controlled by electric motors. You’ll find these standing desks at large Office Furniture stores including Ikea. Another option is to have a custom-made table and have a motor fitted separately. 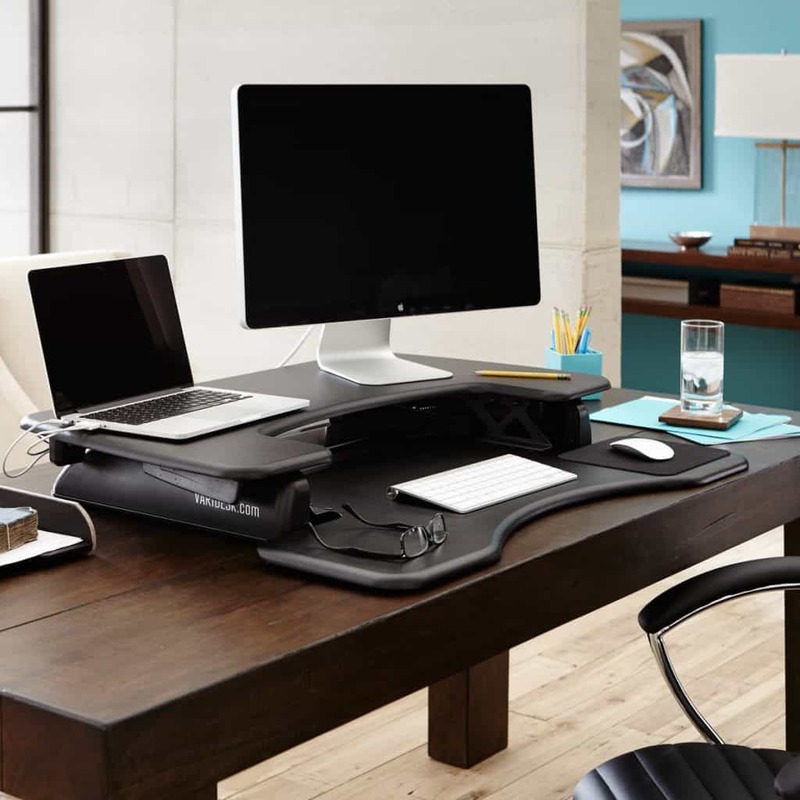 The desktop converters are essentially mini desks placed onto a desktop that rises up and is height adjustable. These add-on workstations range from very basic to those with gas operated mechanisms. The advantage of this type of add-on is that you can use an existing desk, it’s portable and, they are the more affordable option. On the downsides, they can take up valuable space on your desktop and can look clunky. Most of these converters will include a separate keyboard tray. 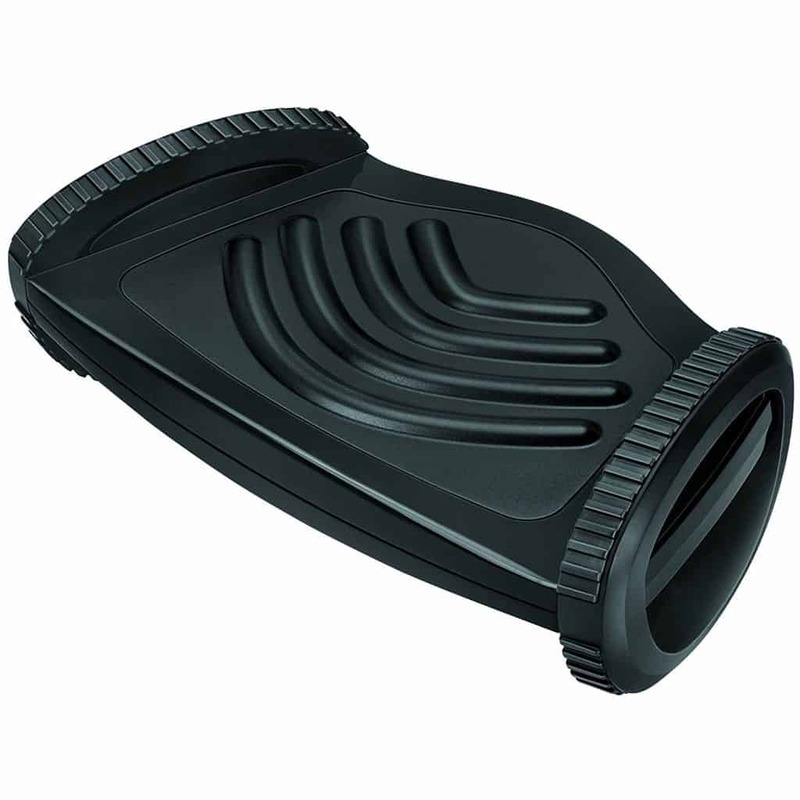 A good standing mat/anti-fatigue mat will keep your body and feet comfortable while you stand. Standing for long periods of time also has its own set of associated health risks. These risks can include damage to joints, foot problems, swelling of the legs and poor blood circulation. A standing mat provides cushioning and support and encourages subtle foot movement of the muscles in the calves and feet. Movement also improves blood flow from the legs to the upper body. You’ll find these mats at most office furniture stores and large hardware stores. 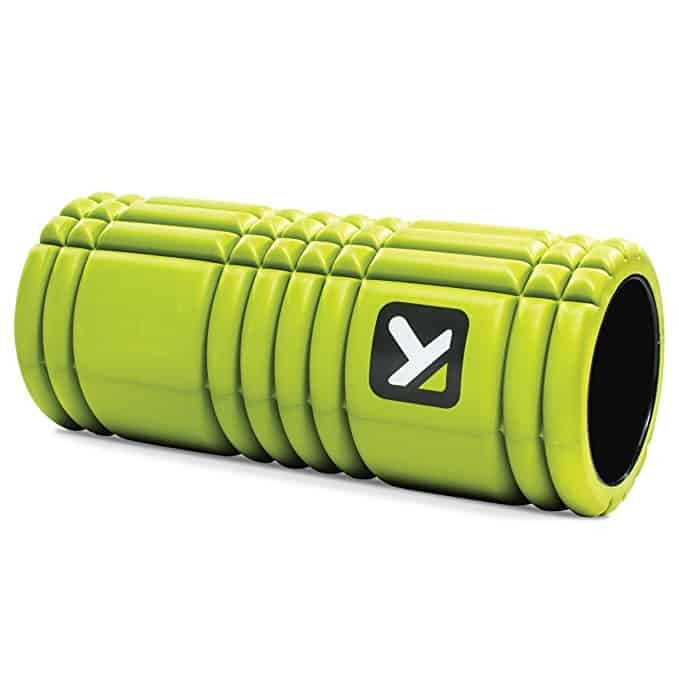 Foam rollers are great for exercise if you are looking to take your standing one step further and get a bit of a workout. These rollers are tubes which you place your feet on. 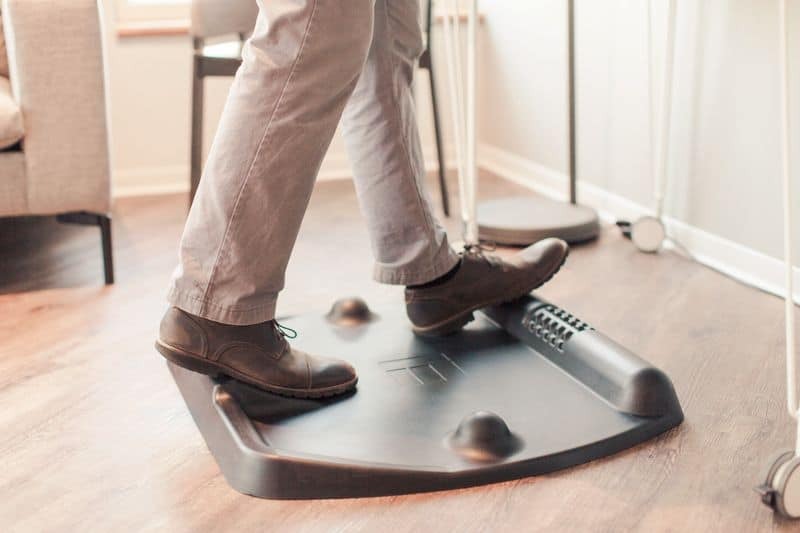 They help you stretch ankle, calf and leg muscles while at your desk. For that added massage, kick off the heels and try a deep tissue massage roller. 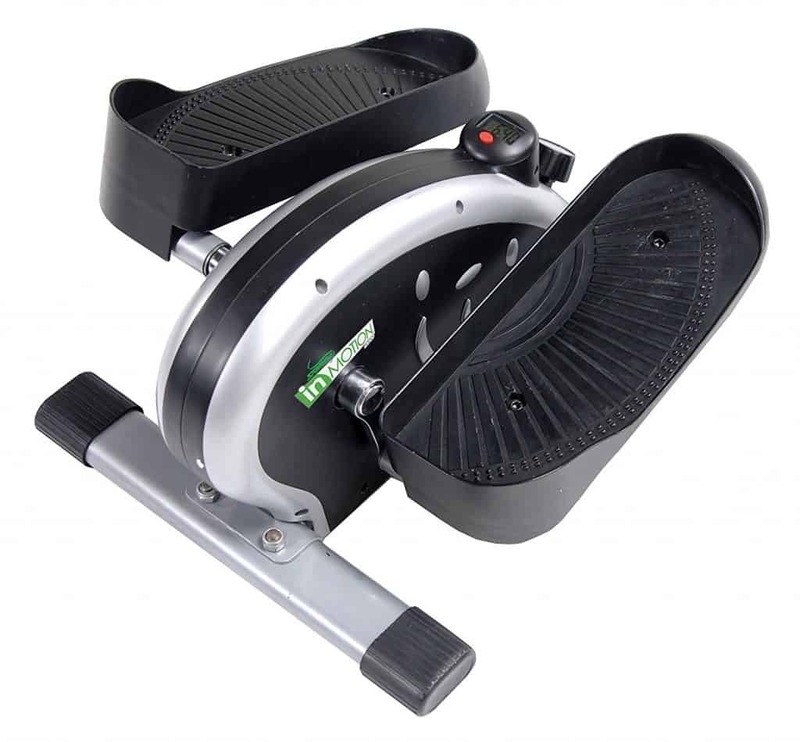 If you want to combine work and exercise, there is a variety of equipment available. The benefits of standing and moving around for part of your workday are clear. Inactivity in the workplace is the real problem today. We rely so much on our computers and our the digital workplace has a lot less clutter than the workplace twenty years ago. We no longer need to walk to the photocopier or the filing cabinet as much as we used to. Most of what we need is at arm’s length. We find ourselves spending hours upon hours fixed to our screens. Stand up desks are just one way to help you and your team moving. Consider holding meetings standing up and walk around the office to talk instead of emailing. What will you do? If you want more information to help keep your workplace healthy, the Australian Government Department of Health provides Physical Activity and Sedentary Behaviour Guidelines. Interestingly, in 2015 Denmark passed a law making standing desks a legal requirement for employers. Find the most suitable desk and comfy standing mat and get moving.